Magnetic resonance imaging (MRI) has seen significant advances over the past decade, allowing for an expanding variety of clinical applications. However, it is still prone to several technical shortcomings, one of the most important being its sensitivity to physiologic and respiratory motion. This concern becomes of utmost significance when imaging certain body regions in debilitated patients, the elderly, and children, who cannot perform adequate breath holds.1 Ghosting artifacts from respiratory motion significantly degrade image quality, potentially rendering MR examinations non-diagnostic.2-5 Several techniques have been employed to help mitigate the effects of respiratory motion, including breath-hold compatible acquisitions,2,3,6 external bellows for respiratory monitoring,7 and navigator triggering.8-11 These methods, however, often require additional steps in clinical workflow and may fail in cases of irregular respiration.12-14 This high sensitivity to motion of conventional MRI is heavily influenced by the Cartesian data sampling scheme used by conventional pulse sequences, in which k-space is sampled along parallel lines. 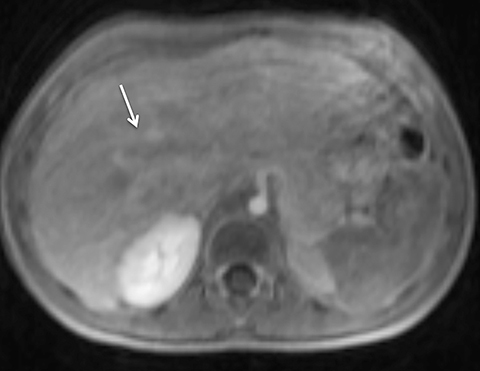 Systems for performing simultaneous whole body positron emission tomography (PET) and MRI examinations have recently become clinically available and have been described for evaluating tumor detection and staging.28-30 PET/MRI combines the high contrast resolution and functional information available using MRI with the metabolic information of PET, with the benefit of reduced radiation compared with PET/CT.31 However, MRI artifact including respiratory, cardiac, and patient motion leads to limitations in registration between PET and MRI, as is often seen using conventional PET/CT.7,32,33 Free-breathing, motion robust radial MRI can be performed simultaneously with PET, which may improve accuracy of co-registration.18 To investigate this concept, Rakheja et al compared the accuracy of spatial registration of PET/CT with that of PET/MR including free breathing radial T1W-GRE in patients with FDG avid metastatic lesions.18 Radial T1W-GRE and T2-weighted images demonstrated more accurate spatial registration than PET/CT,18 likely secondary to the simultaneous acquisition of the PET/MR system. 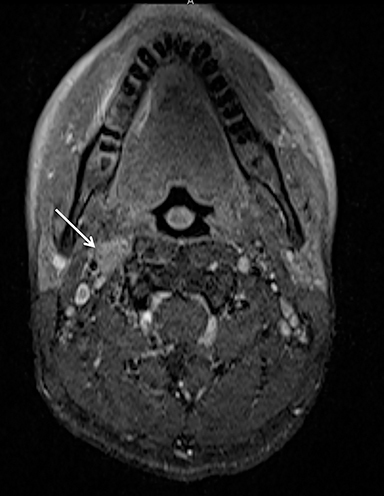 An additional concern of using PET/MRI in place of PET/CT for tumor staging has been the ability of PET/MRI to detect pulmonary nodules.34-37 The spatial resolution of conventional MR is limited by the amount of k-space data acquired during a breath hold, while free-breathing Cartesian MRI is prone to motion artifact.19 Chandarana et al assessed the diagnostic sensitivity of free breathing radial T1W-GRE, PET, and PET/MR in the detection of lung nodules, with PET/CT serving as the reference standard.19 PET/MR had higher sensitivity in the detection of lung nodules when compared with PET or MR imaging alone, with a sensitivity of 70.3% for all nodules, 95.6% for FDG avid nodules, and 88.6% for nodules with a diameter of at least 0.5 cm,19 demonstrating the feasibility of PET/MR, including radial T1W-GRE, in whole body tumor staging, including MRI evaluation of the lungs (Figure 11). Although radial imaging is free of ghosting artifact, it is susceptible to streak artifact and object blurring due to data inconsistencies.16 This artifact is largely due to respiratory motion, although it can be exacerbated by under-sampling,39 especially in larger patients. This artifact radiates outward from the motion-affected regions and often appears as additional “texture” superimposed on the underlying image. 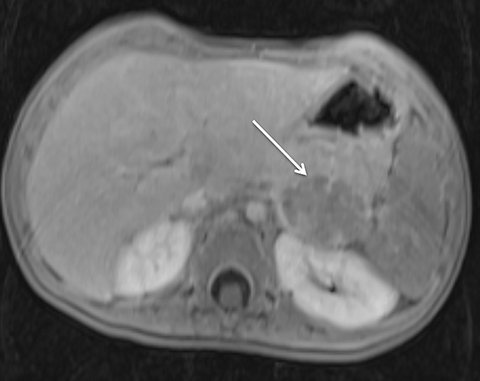 As such, radiologists can usually “read through” the presence of this artifact, similar to radiologists reading through streak artifact of varying extent when encountered on CT. 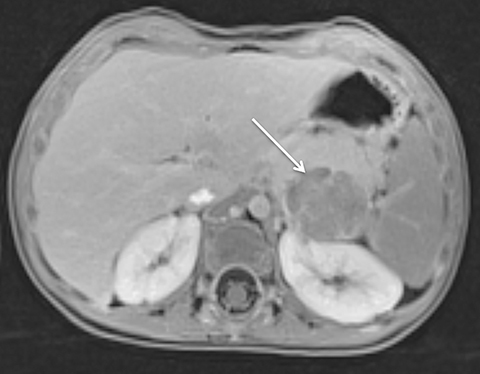 In effect, this artifact is usually minor and seems much less likely to affect diagnostic quality than ghosting artifact encountered when using traditional Cartesian imaging (Figure 13). 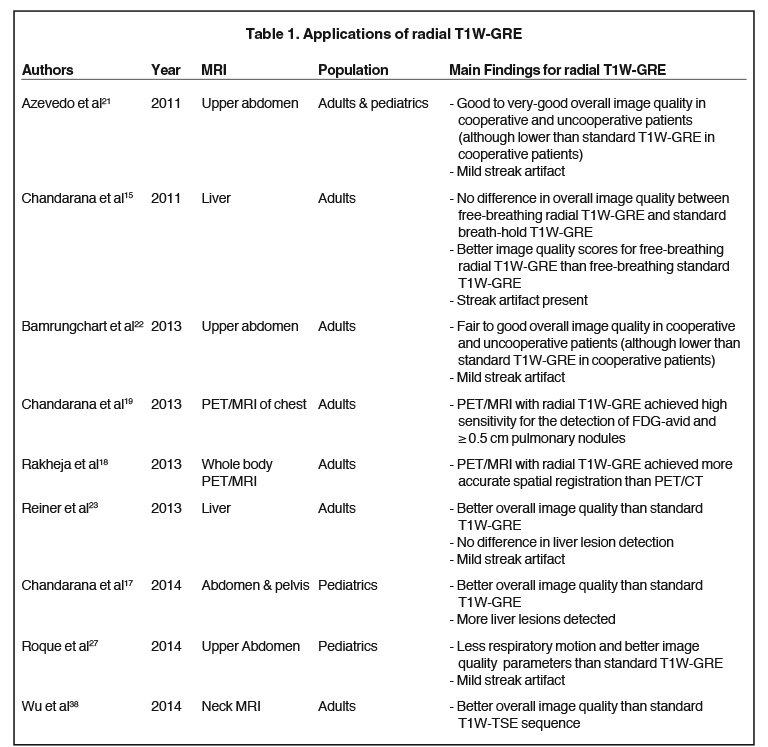 Despite the numerous advantages of radial T1W-GRE imaging, the less efficient coverage of k-space in radial acquisition leads to a higher sampling rate and lower scan efficiency.16 This results in a relatively long acquisition time, often requiring up to approximately 160 seconds.27 These long acquisition times restrict the utility of radial T1W-GRE for dynamic contrast enhanced (DCE) imaging.16 With such long acquisition times, the arterial and venous phases of contrast administration cannot be differentiated, as such differentiation requires a temporal resolution of at least 15-20 seconds.40 In effect, while portal and equilibrium phase examinations can be performed using radial T1W-GRE sequences, the hepatic arterial phase cannot be achieved. 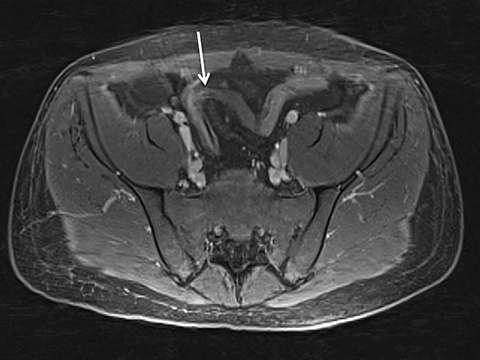 Advanced applications of radial T1W-GRE that have been developed to address this limitation and improve temporal resolution (Table 1) include the sequences GRASP (golden-angle radial sparse parallel MRI)40 and KWIK (k-space weighted image contrast),33 which will be explored in the next section. When radial imaging is performed using a golden-angle acquisition scheme in which the angle of the acquired spokes is continuously increased by 111.25 degrees, increased motion robustness is attained.40 Moreover, when the advanced compressed sensing reconstruction scheme is combined with parallel imaging for radial sampled data,31 rapid continuous acquisition can be performed using a flexible temporal spatial resolution that can be determined retrospectively following the initial post-contrast acquisition.40 GRASP is a recently introduced sequence that combines both of these advances.40 GRASP has been applied for multiple clinical applications that require dynamic post-contrast evaluation, including imaging of the liver, prostate, and bowel in patients with inflammatory bowel disease (Figures 14 and 15).40,41 Chandarana et al demonstrated that diagnostic quality DCE MRI imaging of the liver can be performed using GRASP.40 Rosenkrantz et al demonstrated better clarity of prostate anatomic structures, as well as improved lesion detection, using GRASP in comparison to standard Cartesian DCE MRI.41 GRASP has also been used in the evaluation of inflammatory bowel disease, in which detection of increased vascularity in inflamed bowel segments may be used to predict disease status.42 The KWIK sequence is an additional advanced implementation of radial T1W-GRE in which k-space data is acquired along coinciding projections. 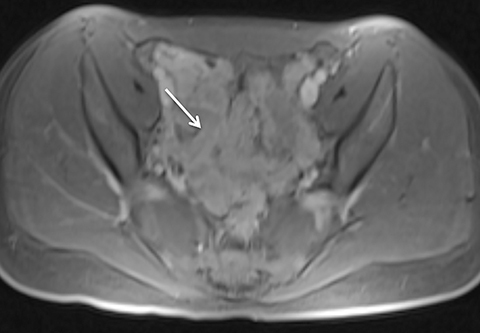 KWIC obtains high temporal resolution sub-frame images and has also shown feasibility for free-breathing, dynamic contrast enhanced imaging of the abdomen.33 KWIC does not require compressed sensing. 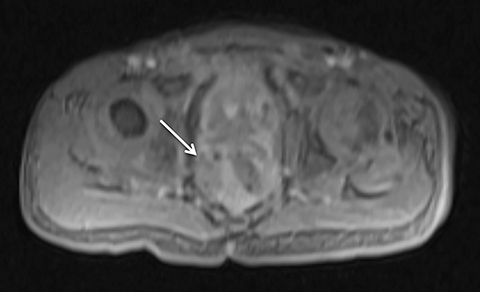 However, a disadvantage of KWIK is less accurate fidelity of the temporal profile of pixels, specifically near the edges of lesions.33 While these advanced versions of radial T1W-GRE have not yet achieved widespread clinical use, ongoing investigations are underway to support their future integration into standard MRI clinical protocols. 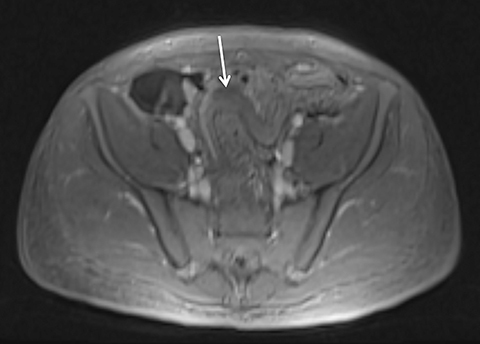 A T1W-GRE sequence obtained using a radial acquisition scheme offers a solution to the major technical challenge encountered in MRI of motion artifact and the associated need for breath holding, a main limitation of traditional abdomen, pediatric, and neck MRI examinations. The radial T1W-GRE sequence has already been integrated into clinical practice and complements existing protocols at many centers. Further investigations are underway to allow for dynamic contrast-enhanced imaging at both high temporal resolution and high spatial resolution using radial acquisition. Maki JH, Chenevert TL, Prince MR. The effects of incomplete breath-holding on 3D MR image quality. J Magn Reson Imaging. 1997;7(6):1132-1139. Paling MR, Brookeman JR. Respiration artifacts in MR imaging: reduction by breath holding. J Comput Assist Tomogr. 1986;10(6):1080-1082. Wood ML, Henkelman RM. Suppression of respiratory motion artifacts in magnetic resonance imaging. Med Phys. 1986;13(6):794-805. Kataoka M, Ueda H, Koyama T, et al. 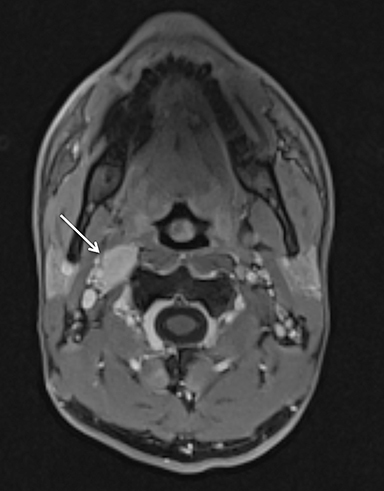 Contrast-enhanced volumetric interpolated breath-hold examination compared with spin-echo T1-weighted imaging of head and neck tumors. AJR Am J Roentgenol. 2005;184(1):313-319. Keogan MT, Edelman RR. 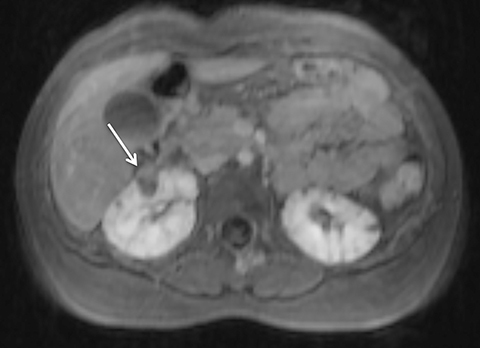 Technologic advances in abdominal MR imaging. Radiology. 2001;220(2):310-320. Tryggestad E, Flammang A, Han-Oh S, et al. Respiration-based sorting of dynamic MRI to derive representative 4D-MRI for radiotherapy planning. Med Phys. 2013;40(5):051909. Ehman RL, Felmlee JP. 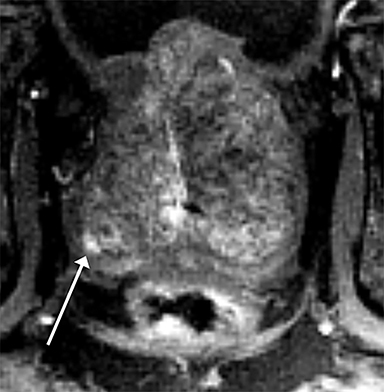 Adaptive technique for high-definition MR imaging of moving structures. Radiology. 1989;173(1):255-263. Ehman RL, McNamara MT, Pallack M, et al. Magnetic resonance imaging with respiratory gating: techniques and advantages. AJR Am J Roentgenol. 1984;143(6):1175-1182. Groch MW, Turner DA, Erwin WD. Respiratory gating in magnetic resonance imaging: improved image quality over non-gated images for equal scan time. Clin Imaging. 1991;15(3):196-201. Runge VM, Clanton JA, Partain CL, et al. Respiratory gating in magnetic resonance imaging at 0.5 Tesla. Radiology. 1984;151(2):521-523. Noterdaeme O, Gleeson F, Phillips RR, et al. 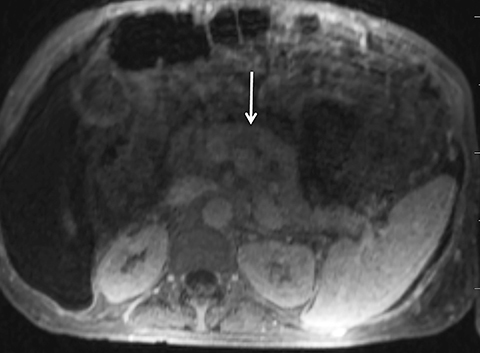 Quantification of missing and overlapping data in multiple breath hold abdominal imaging. Eur J Radiol. 2007;64(2):273-278. Morita S, Ueno E, Suzuki K, et al. Navigator-triggered prospective acquisition correction (PACE) technique vs. conventional respiratory-triggered technique for free-breathing 3D MRCP: an initial prospective comparative study using healthy volunteers. J Magn Reson Imaging. 2008;28(3):673-677. McConnell MV, Khasgiwala VC, Savord BJ, et al. Comparison of respiratory suppression methods and navigator locations for MR coronary angiography. AJR Am J Roentgenol. 1997;168(5):1369-1375. Chandarana H, Block TK, Rosenkrantz AB, et al. 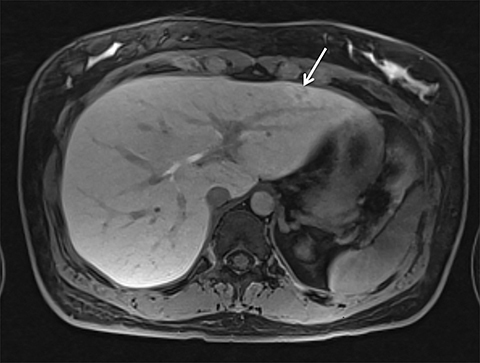 Free-breathing radial 3D fat-suppressed T1-weighted gradient echo sequence: a viable alternative for contrast-enhanced liver imaging in patients unable to suspend respiration. Invest Radiol. 2011;46(10):648-653. Block TK, Chandarana H, Milla S. Towards routine clinical use of radial stack-of-stars 3D gradient-echo sequences for reducing motion sensitivity. J Korean Soc Magn Reson Med. 2014;18(2):87-106. Chandarana H, Block KT, Winfeld MJ, et al. 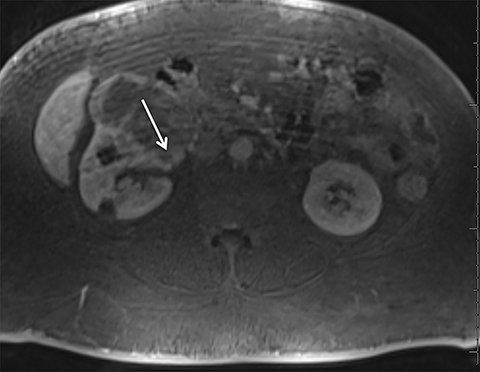 Free-breathing contrast-enhanced T1-weighted gradient-echo imaging with radial k-space sampling for paediatric abdominopelvic MRI. Eur Radiol. 2014;24(2):320-326. Rakheja R, DeMello L, Chandarana H, et al. 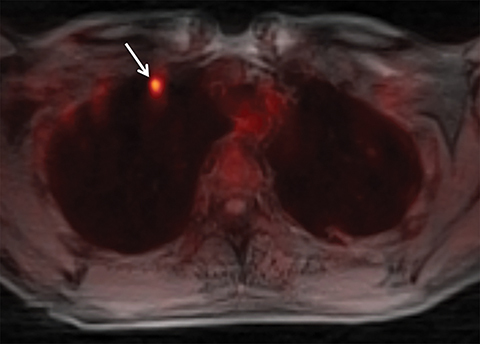 Comparison of the accuracy of PET/CT and PET/MRI spatial registration of multiple metastatic lesions. AJR Am J Roentgenol. 2013;201(5):1120-1123. Chandarana H, Heacock L, Rakheja R, et al. 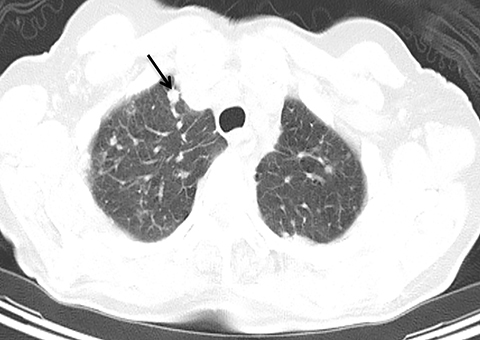 Pulmonary nodules in patients with primary malignancy: comparison of hybrid PET/MR and PET/CT imaging. Radiology. 2013;268(3):874-881. 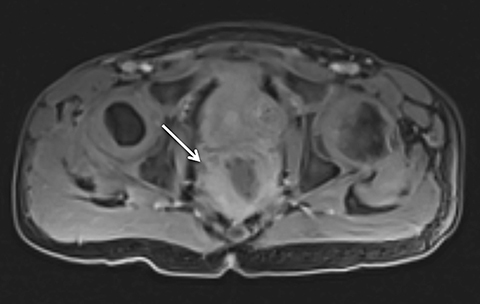 Block KT, Uecker M, Frahm J. Undersampled radial MRI with multiple coils. Iterative image reconstruction using a total variation constraint. Magn Reson Med. 2007;57(6):1086-1098. Azevedo RM, de Campos RO, Ramalho M, et al. Free-breathing 3D T1-weighted gradient-echo sequence with radial data sampling in abdominal MRI: preliminary observations. AJR Am J Roentgenol. 2011;197(3):650-657. Bamrungchart S, Tantaway EM, Midia EC, et al. Free breathing three-dimensional gradient echo-sequence with radial data sampling (radial 3D-GRE) examination of the pancreas: Comparison with standard 3D-GRE volumetric interpolated breathhold examination (VIBE). J Magn Reson Imaging. 2013;38(6):1572-1577. Reiner CS, Neville AM, Nazeer HK, et al. Contrast-enhanced free-breathing 3D T1-weighted gradient-echo sequence for hepatobiliary MRI in patients with breath-holding difficulties. Eur Radiol. 2013;23(11):3087-3093. Wood ML, Henkelman RM. MR image artifacts from periodic motion. Med Phys. 1985;12(2):143-151. 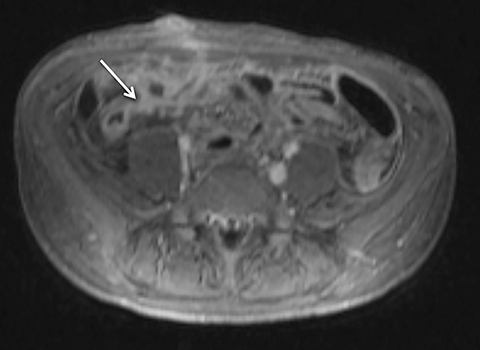 Darge K, Anupindi SA, Jaramillo D. MR imaging of the abdomen and pelvis in infants, children, and adolescents. Radiology. 2011;261(1):12-29. Shankar VR. Sedating children for radiological procedures: an intensivist’s perspective. Pediatr Raiol. 2008;38 Suppl 2:S213-7. Roque A, Ramalho M, Al Obaidy M, et al. 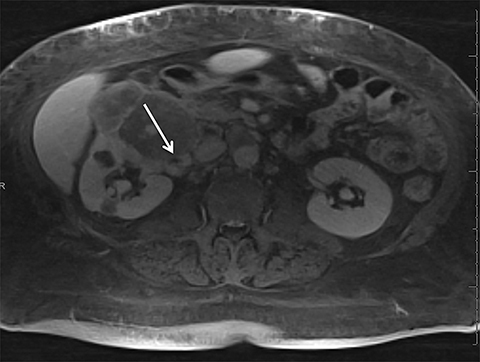 Post-contrast T1-weighted sequences in pediatric abdominal imaging: comparative analysis of three different sequences and imaging approach. Pediatr Raiol. 2014;44(10):1258-1265. 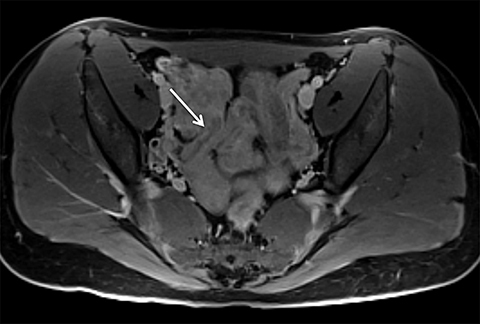 Lee SI, Catalano OA, Dehdashti F. Gynecologic cancer imaging with MRI, FDG PET-CT and PET-MR. J Nucl Med. 2015;114:145011. Yoo HJ, Lee JS, Lee JM. Integrated Whole body MR/PET: where are we? Korean J Radiol. 2015;16(1):32-49. Ohno Y, Koyama H, Yoshikawa T, et al. Three-way comparison of whole-body MR, coregistered whole-body FDG PET/MR, and integrated whole-body FDG PET/CT imaging: TNM and stage assessment capability for non-small cell lung cancer patients. Radiology. 2015:140936. Lustig M, Donoho D, Pauly JM. 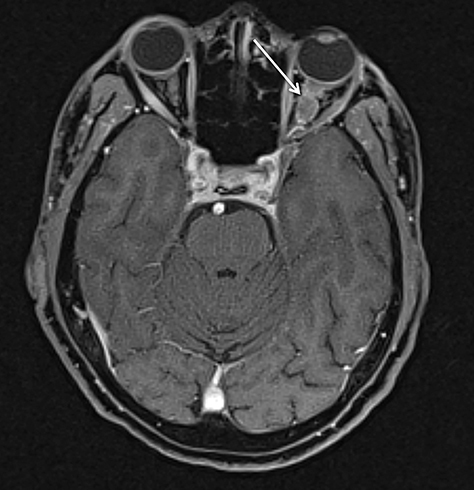 Sparse MRI: The application of compressed sensing for rapid MR imaging. Magn Reson Med. 2007;58(6):1182-1195. Fujinaga Y, Ohya A, Tokoro H, et al. 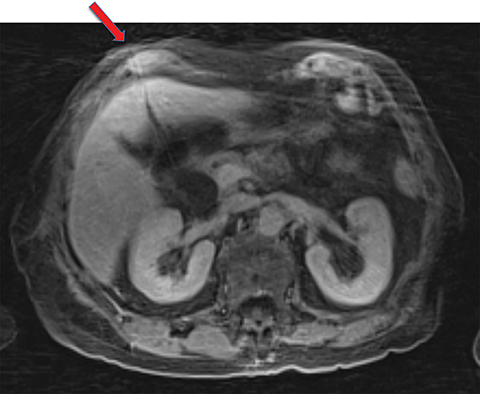 Radial volumetric imaging breath-hold examination (VIBE) with k-space weighted image contrast (KWIC) for dynamic gadoxetic acid (Gd-EOB-DTPA)-enhanced MRI of the liver: advantages over Cartesian VIBE in the arterial phase. Eur Radiol. 2014;24(6):1290-1299. Kim KW, Lee JM, Jeon YS, et al. 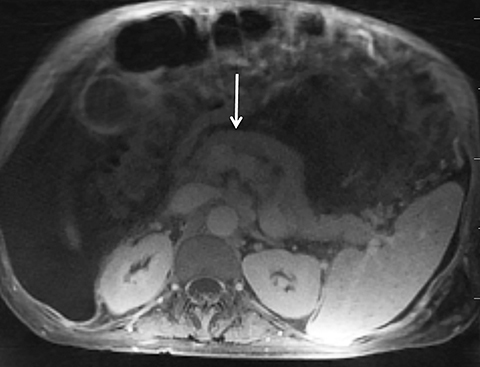 Free-breathing dynamic contrast-enhanced MRI of the abdomen and chest using a radial gradient echo sequence with K-space weighted image contrast (KWIC). Eur Radiol. 2013;23(5):1352-1360. Sieren JC, Ohno Y, Koyama H, et al.. 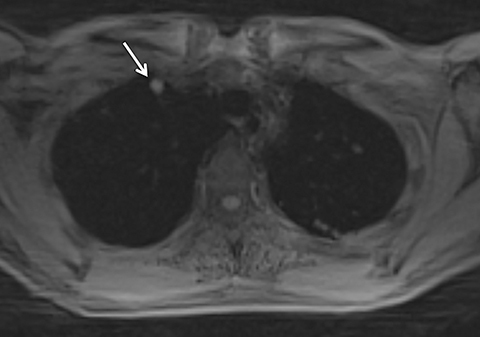 Recent technological and application developments in computed tomography and magnetic resonance imaging for improved pulmonary nodule detection and lung cancer staging. J Magn Reson Imaging. 2010;32(6):1353-1369. Stolzmann P, Veit-Haibach P, Chuck N, et al. Detection rate, location, and size of pulmonary nodules in trimodality PET/CT-MR: comparison of low-dose CT and Dixon-based MR imaging. Invest Radiol. 2013;48(5):241-246. Lauenstein TC, Goehde SC, Herborn CU, et al. 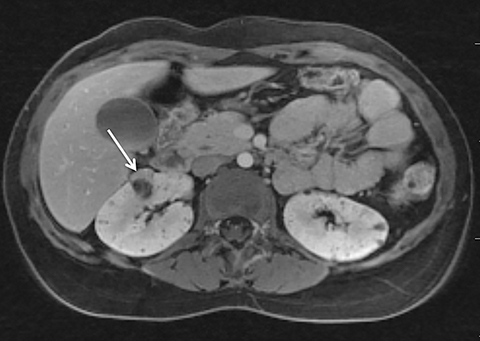 Whole-body MR imaging: evaluation of patients for metastases. Radiology. 2004;233(1):139-148. Antoch G, Vogt FM, Freudenberg LS, et al. 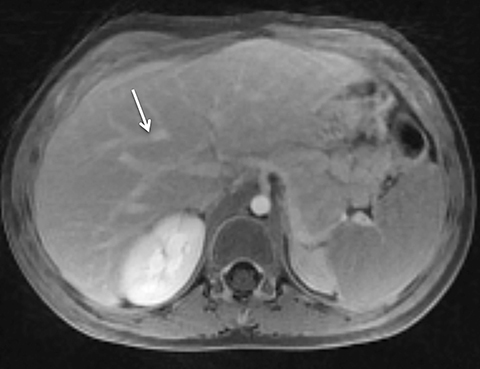 Whole-body dual-modality PET/CT and whole-body MRI for tumor staging in oncology. Jama. 2003;290(24):3199-3206. Wu X, Raz E, Block TK, et al. Contrast-enhanced radial 3D fat-suppressed T1-weighted gradient-recalled echo sequence versus conventional fat-suppressed contrast-enhanced T1-weighted studies of the head and neck. AJR Am J Roentgenol. 2014;203(4):883-889. Xue Y, Yu J, Kang HS, et al. 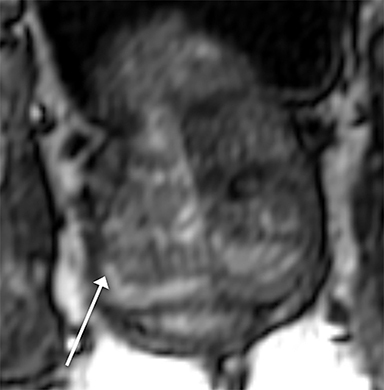 Automatic coil selection for streak artifact reduction in radial MRI. Magn Reson Med. 2012;67(2):470-476. Chandarana H, Feng L, Block TK, et al. 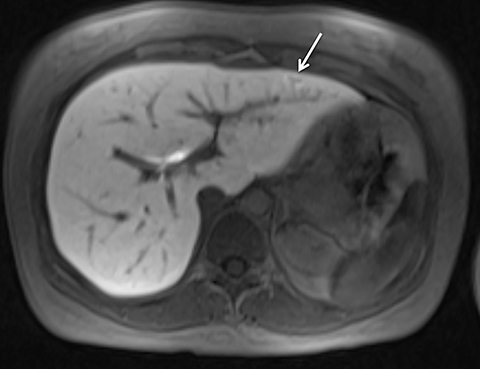 Free-breathing contrast-enhanced multiphase MRI of the liver using a combination of compressed sensing, parallel imaging, and golden-angle radial sampling. Invest Radiol. 2013;48(1):10-16. Rosenkrantz AB, Geppert C, Grimm R, et al. 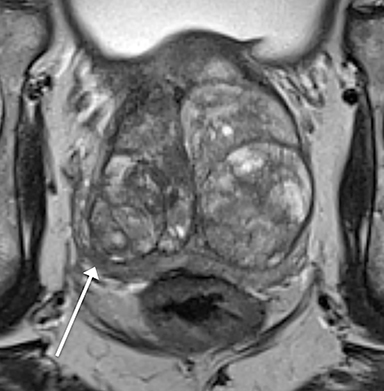 Dynamic contrast-enhanced MRI of the prostate with high spatiotemporal resolution using compressed sensing, parallel imaging, and continuous golden-angle radial sampling: Preliminary experience. J Magn Reson Imaging. 2014;16(10):24661. Ream JM, Doshi AM, Block KT, et al. 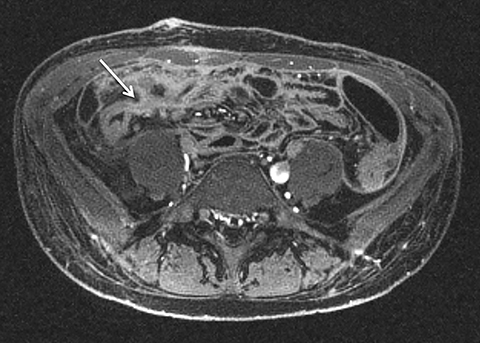 High spatiotemporal dynamic contrast-enhanced MRI of the small bowel in active Crohn’s Terminal Ileitis using compressed sensing, parallel imaging, and golden-angle radial sampling. Proc Intl Soc Mag Reson Med. 2014;22:4292. Kierans AS, Rosenkrantz AB. 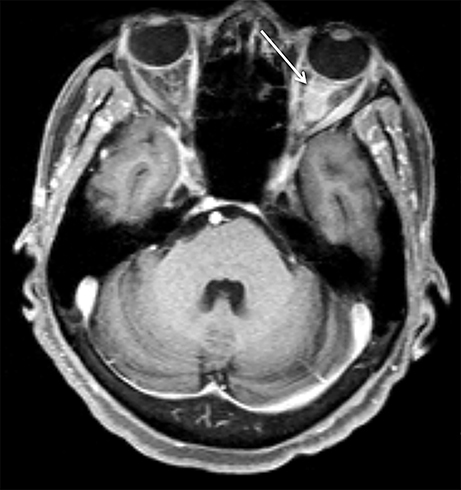 Radial T1-weighted magnetic resonance imaging: Background, clinical applications, and future directions. Appl Radiol. 2016;45(5):24-33. Dr. Kierans and Dr. Rosenkrantz are radiologists with the Department of Radiology, New York University Langone Medical Center, New York, NY.